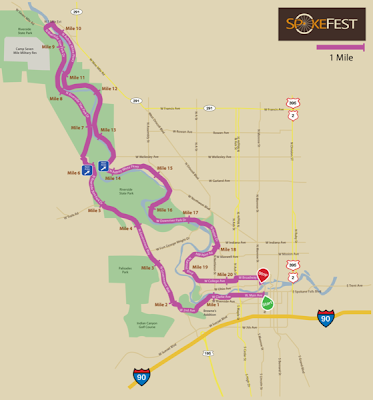 As of tomorrow you will have to pay extra to register for Spokefest. So get registered now! The route is a nice leisurely 21-mile ride. There will be snacks along the way. Stephanie was not very pleased to hear she's riding a single this time. Last year she and I rode the tandem. I wonder who did all the work. :-) Josh plans to rip through it on his fixed gear but he says he'll probably be walking up Pettet Drive. Kathy and I will accompany Steph. Dang! I'm out of town. So far I was out-of-town for bike to work week, now this. bummer.